He might have $235m in the bank, but the man many rate as Australia’s greatest-ever golfer cannot make the list of our richest sports earners. That’s because these days Greg Norman’s earnings all come away from the golf course rather than on it. Indeed the Great White Shark’s sporting efforts in 2012 included playing just seven tournaments for three missed cuts and two withdrawals due to illness or injury. 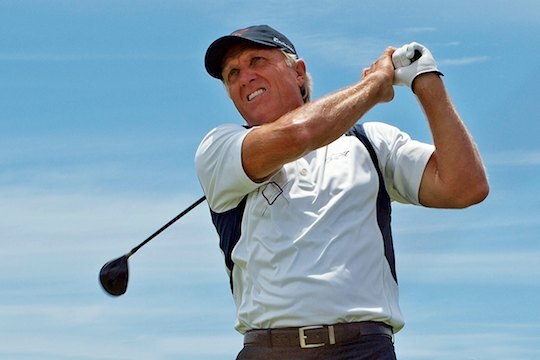 Now, at age 57, it seems Norman’s sporting feats, including two British Open Championships and a phenomenal run as the No 1 golfer in the world, are instead being relegated to the annuls of sports trivia. Yet his business interests are quite stunning and include such diverse business interests as sunglasses, wine, clothing, turf, golf course design, wagyu beef and running his own signature event, the Shark Shootout each year. These days Norman is even known for manufacturing golf cart-mounted GPS devices. Actually it’s the second year in a row that Norman has missed a spot in BRW’s annual sports rich list following 15 years as Australia’s top-earning sportsman. It’s hardly surprising considering the Shark is now ranked the 1301st best golfer in the world and freely admits he’s far too busy to practice these days. He instead sits at his Florida base overseeing a vast array of businesses where he acts as chairman and chief executive officer of an empire known around the world as Great White Shark Enterprises. And even without his on-course appearances, Norman remains Australia’s most recognisable golfer, as well as a World Golf Hall of Famer and the subject of constant debates over whether he or five-time British Open champion Peter Thomsen is the greatest golfer this country has produced. For the record, for the second year in a row, NBA basketballer Andrew Bogut topped the Australian sporting rich list, earning a reported $13.5m in 2012, ahead of Formula One driver Mark Weber with $12m. And the top earning golfer? Adam Scott, in third spot with a cool $10.5m.